The 2015 FIFA Women's World Cup is upon us and the greatest and most watched sporting event in the world is here. Soccer fans everywhere will be gathering to watch some of the most talented and gifted athletes in the world play "the beautiful game" on the most exciting stage in sports. 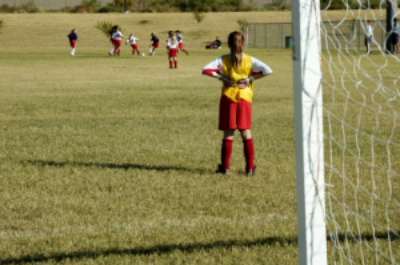 Dr. Mike Foudy of Mission Viejo, CA, team chiropractor for the Women's World Cup Championship Team in 1994 said, "all but one member of the team received regular chiropractic care during their training and on the days of their matches. Chiropractic adjustments balanced their spine, removed nerve pressure and optimized the function of their bodies. They felt like they healed quicker from injuries and that the care gave them a competitive edge." Recently, 2015 Master's Champion Jordan Spieth thanked his chiropractor during his Green Jacket speech. Famous athletes in every sport have made chiropractic care a regular part of training, including NFL greats Jerry Rice, Emmitt Smith and Roger Craig. Dr. Eric Plasker, author of the #1 Best Selling, The 100 Year Lifestyle Workout, was the chiropractor for one of the top youth soccer teams in the nation. During a winning streak that led to a National Championship, Dr. Plasker said, "The team receives adjustments prior to games. During tournament weekends, while the other teams are scrambling to change their lineups due to injuries, our team bounces back fast and brings an energetic advantage to championship games. The players and coach agree that chiropractic care helps them compete at the highest level and avoid injuries." E stands for Endurance. Cardiovascular fitness is necessary to have a healthy heart and maintain stamina during games. The first S stands for Strength. Athletes who are physically strong can get the competitive edge over others. The second S stands for Structure which means having a healthy spine and nervous system. Soccer players must pay particular attention to the balance of their ESS, especially their structure, spine and nervous system. Repetitive twisting on the lower back and hips while kicking the ball can lead to misalignments that put pressure on the nerves. This may cause immediate symptoms such as back, hip, leg, knee, ankle or foot pain, or it may lie dormant and asymptomatic until 'the straw breaks the camel's back.' As time goes on, these imbalances can make an athlete slower and weaker, diminishing the strength of their kick. Coypright 2015 The Family Practice, Inc., Dr. Eric Plasker and The 100 Year Lifestyle. All Rights Reserved.